Westside Acro is back with further explorations of trust & communication through movement. This week we will explore Catherine’s Wheel in all of its glory. In doing this we will be opening up our toolkit of progressive transitions into and out of this space. While those without a working Catherine’s Wheel will come away with a brand new movement unlocked those of us with the skill already will find a huge new group of ways to go in and out to twist and shout and just generally get so much better at it. Bring your own sweet self, a mat if you got one, close fitting clothing that is not slippery or has stuff hanging off of it, water for your hydration, and a partner if you got em. But don’t worry if you don’t as we got lots! Everything we do is based on spotting which means we work in 3’s so you can come by yourself or with your partner or even with a whole crew. We support existing partnerships and will never ask anyone to split from their partners. By the same token we know each of us are enriched in our practices by working with different partners so every effort is made to create new and fun ways to work in larger groups. Oh and bring your smiles! We need all we can get! 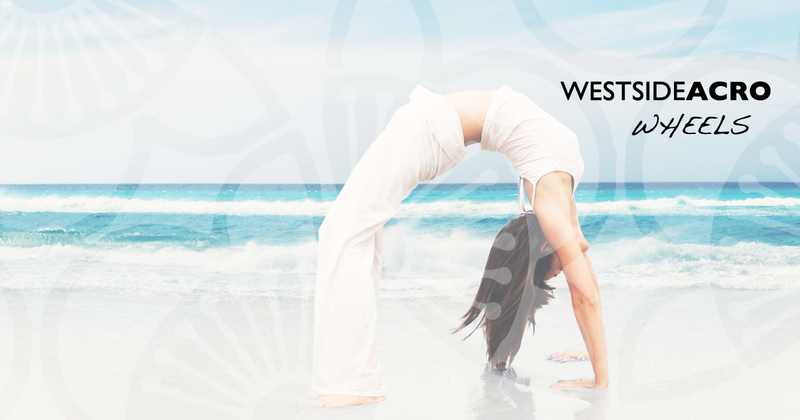 We’ve moved to a new studio at Create Yoga in Santa Monica! This wonderful space has been very supportive and is full of lovely people. Selah, Marissa, & Jenn are wonderful to work with and very receptive to collaboration. The Westside Acro community pledges to maintain a safe, clean, & responsible shift when we use the studios at Create Yoga. Please do your part. Be sure to arrive at 745 and please be quiet and respectful as the prior class will just be ending. We monkeys may be loud and rambunctious bunch but we are also respectful of our hosts. Also please be sure to check in with Malaika when you arrive so we can get started asap. As you know we always have lots of content to explore and the faster we can all get checked in the better for everyone. Please use this link to check in prior and reserve your seat. This week we return to explorations of partnerships, movement, breathe and stillness. I hope you can join us at 1030 AM in Culver City at Veda Yoga Center. Drop-in is $15. Chris Filkins leads an exploration in AcroYoga of the freeing of attachments, communication with oneself and the other, and finding steadiness through the practice of our moving body. We will explore age old forms & vinyasa of partnership in order to build a series of movements which will heal, challenge, and strengthen the practitioner. Ours is a practice of communication. We aim to enjoy ourselves while serving our partners. The exhilaration you will feel as each of you succeed at challenging poses and transitions will carry in your hearts for days afterward. If you live in Los Angeles you will want to attend this class at Veda Yoga Center where we will explore the forms & vinyasa of partnership in order to build a series of movements which will heal, challenge, and strengthen the practitioner.